A path among fields divided by wooden fences with some planks standing at angle, supporting them. Some stones serve as foundation for the fence and trees grow along the path. 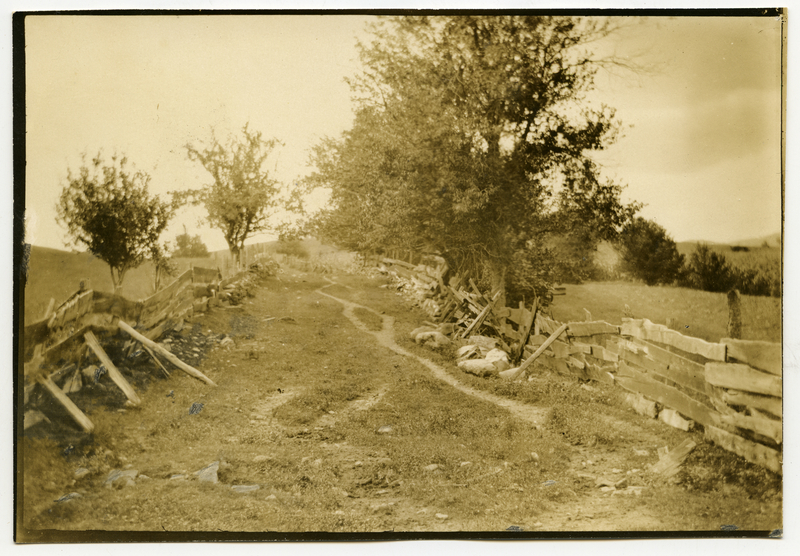 Johnson, Clifton, 1865-1940, “An old lane,” Digital Amherst, accessed April 23, 2019, http://www.digitalamherst.org/items/show/3553.